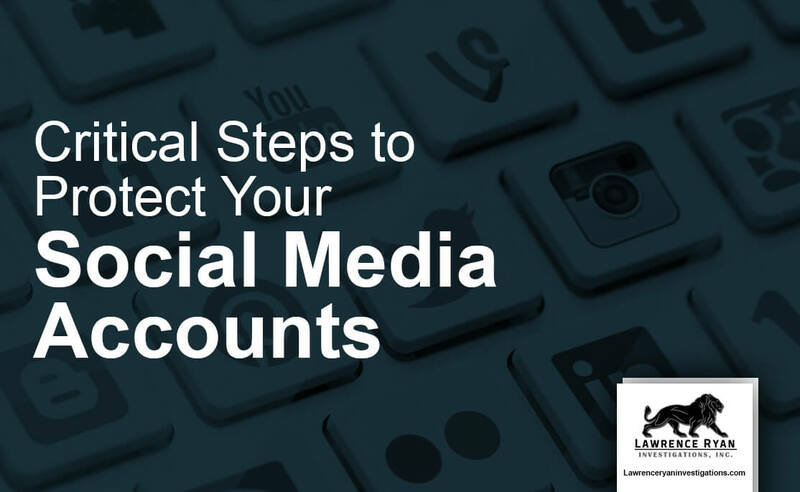 Follow these steps to protect yourself on social media from hacks and unwanted watchers. What if someone hacked your Facebook, Twitter or any of your social media accounts? The damage someone can do to your personal and professional life can be devastating if they were to gain access to your social profiles. The release of personal information. The reality is, someone who wants to cause you harm on social media can do so without accessing your account. Follow these easy steps to protect yourself on social media. If you see your password on the list or it is similar, think of changing it. Let’s create a strong password. Here are common guidelines for strong passwords advocated by proponents of software system security. If you have many profiles, consider using a password management tool like LastPass or 1password. Taking 5 minutes to perform app maintenance can go a long way. Let’s get rid of the apps you are not using or don’t need. Check to see what information these apps are accessing from your social profile/account. This can be an entry point for hackers. Have you ever accepted an invitation from someone you didn’t know? Well, think twice before accepting. Only accept an invitation from people that you know in life. Hackers can send out endless invitations with the hopes of making connections and accessing information. When you receive an invitation from someone you don’t know, message them, and verify that they wanted to connect with you. Then, ask them how they know you. Take the time to vet people. Two-factor authentication uses two different components to confirm the identity of a user. For example, it might ask for username and password, then a confirmation code. This confirmation code is typically emailed or text messaged to you. Most social networks offer this functionality. It will take an extra step to log in, but it’s worth it. To not use it would be a big mistake. 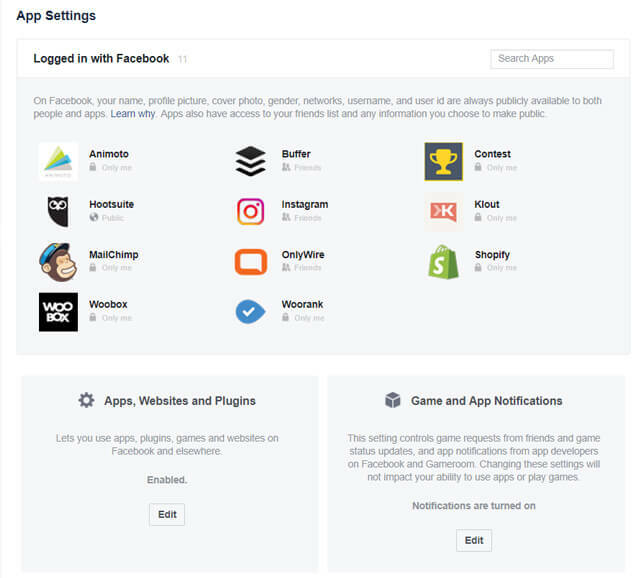 Here are the guides for how to enable this feature on Facebook, Twitter, LinkedIn, and Instagram. What information are you allowing people to see? Who can connect with you? 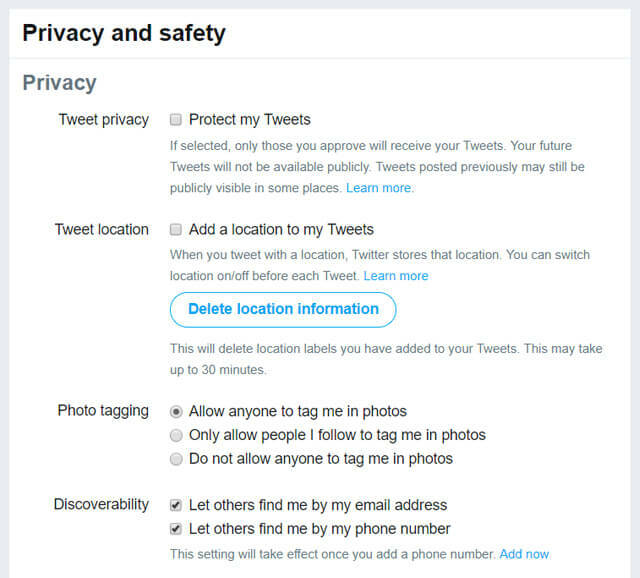 An easy way to protect yourself on social media is to review your privacy settings. Below are preferred settings for the top social media site. First step: is to decide what you want people to be able to see. 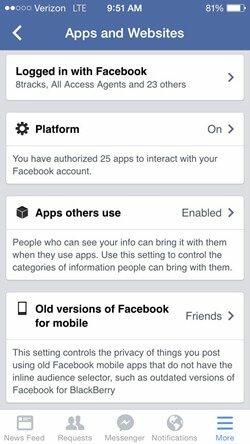 Go to Settings>Privacy in your Facebook account. Take a moment to review each setting and choose the ones you are comfortable with. This step can only be done on your desktop computer. Using friends lists allows you to organize your contacts and what they can see. 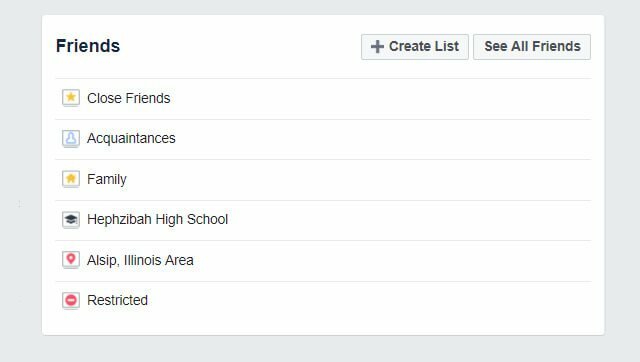 Maybe you have friends from work that you want to show only certain things on your profile. You can use Friend lists to manage this. Limit the flow of information that is used by third parties. This can be search engines, advertisers, and applications. 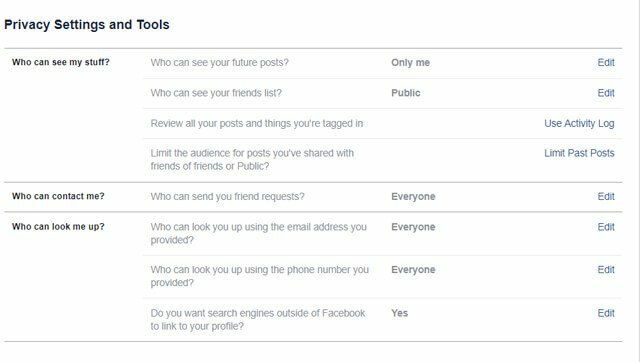 Review these settings and determine what information you want to share with third parties. Decide if you want Twitter to add a location to your tweet. Twitter will store these locations. If you select, you can still toggle this feature on and off for each tweet. Determine who can tag you in pictures. You can choose to let people find you by your phone number or email address. These options will let you determine how twitter will personalize your online experience. Do you want to share data with Twitters partners? 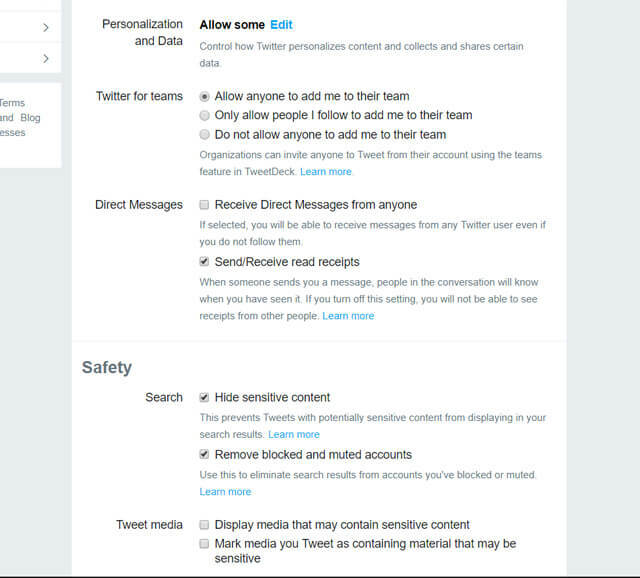 Do want Twitter to track where you see Twitter content across the web? Pick the settings you are comfortable with. You can add additional security features by going to Account>Security. By selecting login verification, anytime you log in to Twitter, you will receive a code via text message you must enter to access your account. Select if you want to provide additional information in order to reset your password. If you have a phone number associated with the account, it will prompt you for the number before you can request a password reset with just your email. Toggle on and off if you don’t want to show this feature on your profile. 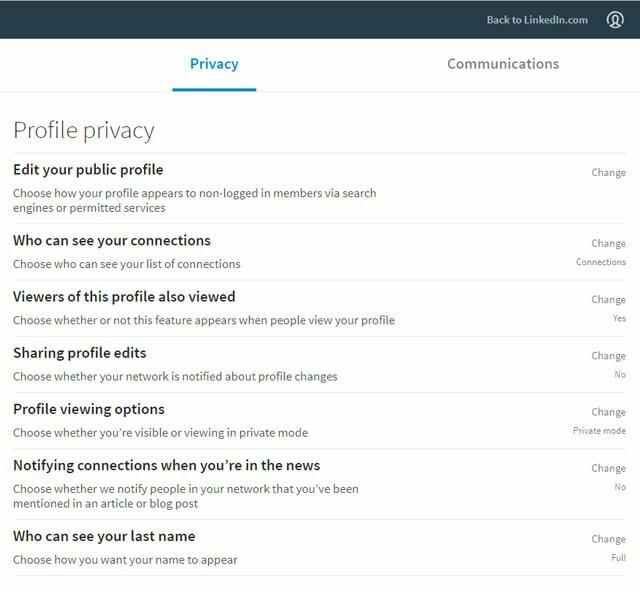 Toggle on and off if you want to share your profile changes with your network. This option is for when you are viewing other profiles and how you want to be identified. Do you want people to be notified when you are mentioned? Who can see your last name? Select full name or just last initial. In this section, you will be able to select how people will be able to connect with you if you are visible on your company page, profile visibility on third party sites, and whether LinkedIn can serve interest-based advertising through their platform for third parties. 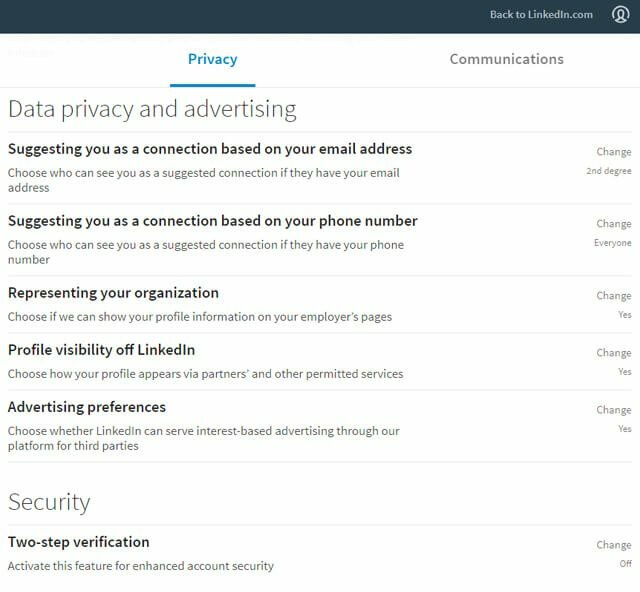 Finally, LinkedIn also offers two-step verification for enhanced account security. Taking the steps to protect yourself on social media is not difficult. Simply take the time to understand what you can and can’t do. As well as understand what others can and can’t do. Knowledge is your biggest weapon in protecting yourself on social media.